I am currently developing an accessible educational resource that comes with a limited edition piece of art work and a resource pack. The series is based around my 'Museu﻿m of M﻿igration' installation - a vintage cabinet containing eight drawers, each housing a museum-like display about things that migrate through my garden. In my work I explore various ways to use archiving, classification and association in my artwork, and look at the areas where art and science meet, a recent article in the New York Times referred to this way of working as: ‘the new cross over art’. The resource pack will look at my work and inspiration, as well as that of historical and contemporary artists. There will also be plenty of inspirational ideas for you to consider. Each 'Exploding Canvas' measures approximatel﻿y 16" x 12" x﻿ 3" dee﻿p and comes in a protective museum archive type box. As part of my MA studies I visited the Mass Observation Archive in the University of Sussex, Brighton. I had previously selected which boxes I wanted to look through, one of which was the ‘Bird Nesting Survey 1951’. Inside were several packages of notes written by children and adults, containing lots of interesting observations - I was enchanted by the contents. 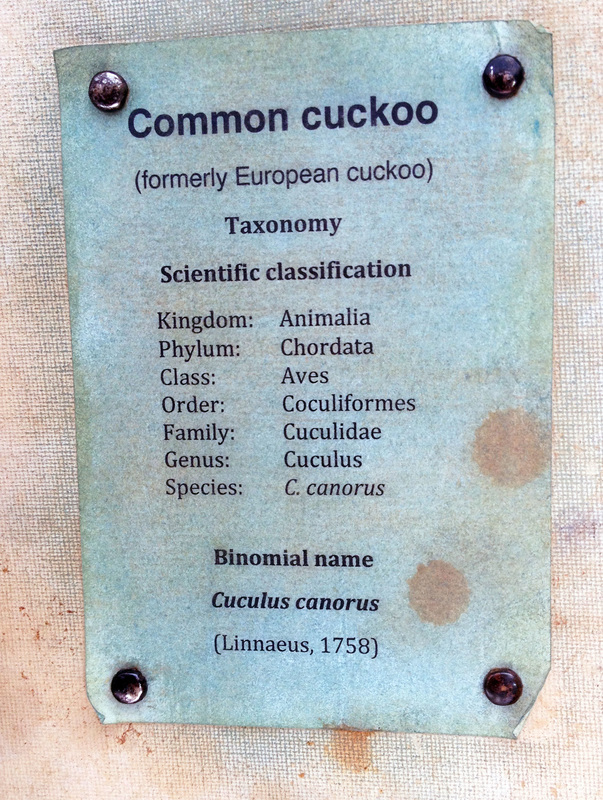 I decided to ask people what they knew about cuckoos, giving them each a piece of paper to write down any facts or fiction they would like to share. Eventually these were tied in a black ribbon and put in the drawer just like the ones in the Mass Observation Archive. I have extended this activity by incorporating an interactive pocket, enabling you to add your own findings.